Our Yellow Bridge – A Place to Encourage, Share, Learn, Grow and Hopefully have a few Adventures! A Place to Encourage, Share, Learn, Grow and Hopefully have a few Adventures! It’s been many years since we have had a baby in the house. Mikey is 8 months old and so full of life. He is drinking in everything around him and not missing a thing! What a fun age and an excellent season to learn more about the world he is absorbing. As we take him for walks over the next few months it is the perfect time to talk about all the changes in fall. Leaves changing from luscious green to colorful fall hues. The textures will change from soft to crunchy. Even the smell of the fall air is different from a summer breeze. A weekend trip to the farmer’s market will bring about a whole new understanding of the foods that were used to fill his little baby food containers, and the aromas that will make his mouth water from homemade applesauce to pumpkin pie. His senses are about to be on overload from all the fun things that fall brings. Football is a favorite in our house, not just the American version but the European football as well. I see a game or two in his future! We will be on the hunt, for sure, for hay rides and pumpkin patches. What an amazing season! Don’t miss this opportunity to grow your “little pumpkins”! Each activity and event can teach them so much! Start with the pumpkin. You can talk about the shape, the color, the sound it makes when you thump it. We will be carving our pumpkin for Michael. In doing this – we will talk about the funny face it has, and the light that shines from the candle inside. The “guts” won’t go to waste – not when you can let him squish them in a ziplock sensory bag! Although he is not ready to eat the roasted pumpkin seeds, he can smell how good they will be once his teeth come in. Honestly, I have NEVER made a pumpkin pie from a pumpkin; it has always been from “scratch” from a can of pumpkin. Maybe this year I will give it a try. Regardless, there will be some pumpkin baking going on this fall! Mikey will use all five of his senses with our pumpkin experience. Think outside the box. You can do the same with the apples you pick up at the market. Almost everything in the fall will heighten most of your babies senses. Use this time to help your little sweethearts learn and grow. Happy Fall Y’all! Isn’t it a nice feeling to see a smile come across someone’s face when you say a kind word to them? It’s amazing to actually see their shoulders rise when a little encouragement is offered. I was recently at a popular fast food restaurant. As I pulled into the parking lot, I decided to go inside to place my order because the drive thru line was wrapped around the building. I quickly learned the line was not much shorter inside. There were half a dozen people in front of me and it didn’t take long to hear the murmurs and grumbling. The kitchen staff was in full view and was made up of the typical young people who often work in these establishments. It was immediately evident why the customers were growing more and more frustrated with their wait time. The majority of the staff were horsing around and seemed to not know exactly what they were supposed to be doing. The manager was busy, but not providing direction and many of them were taking full advantage of the situation. One young man, however, the guy that was taking the brunt of the angry and frustrated faces was running the cash register, and also taking and filling our orders. He was a steadily working with purpose. He really was doing a great job, but his demeanor. Discouragement is the best way to explain how he was evidently feeling. He was working so hard to take care of everyone while most of his co-workers were playing. It was as if they didn’t notice or didn’t care that customers were waiting, that they were there to do a job, or possibly they had no clue how to keep up with what needed to be done. This young man was shouldering the harsh comments from the customers even though they were really directed at the rest of the crew and the entire situation. You could tell it was weighing on him, his shoulders drooped, his head hung slightly and you could just see the dread on his face as he worked with each new irritated customer. Do you ever feel like this? Do you sometimes feel like your hard work goes unnoticed? Do you feel like you are the only one working? It stinks doesn’t it! Don’t let it stop you from doing your best! Embrace the encouragement when it comes your way and be on the look out because I know there will be an opportunity for you to encourage someone else! I had been studying about being an encourager around the time I went to the store and decided to apply it. As this young man turned to help me, I was ready with a big smile and kind eyes. He seemed a little surprised, but his facial expression didn’t really change. I’m telling you guys, he was really beat down! I politely placed my order and then offered some kind words. I complimented him on how hard he was working and expressed to him that I appreciated all that he was doing to take care of each of us. He stopped and looked at my smiling face and his shoulders actually LIFTED. This little bit of encouragement added even more hustle and determination to his work. It was as if the leader rose up in him, and he gently started commanding that his stations were manned properly. It was so cool to watch the impact of a little kindness and encouragement. I know you have seen evidence of this when interacting with your family. When you encourage your husband it makes him more confident in his position. Praise him and thank him for all he does for you and your family. I guarantee it will make him a kinder, more loving husband and father rather than if he is hearing only what he does wrong. As strong and tough as our guys are, their hearts can be ripped wide open with the venom that our tongue lashings can throw out. When you praise your children, it pushes them to achieve more than they ever thought possible. My grandson just beams when we encourage him and praise him for each new skill he learns. My children worked harder and longer when we convinced them that they could accomplish whatever they were working on. My son was one of the smallest on the football field, but this did not stop him. He would do all he could to take down guys double his size even if it meant hanging on their back and finally tripping them up. He grew in size and stature as he aged, still not the largest on the team, but he was one of the best and he always took down his opponent. My daughter has always been creative. It took encouragement to convince her, that God truly blessed her with an incredible talent. She has spent hours honing her skills and has been blessed with many projects over the years. She is an amazing artist. They both grew tremendously in their skills because they had encouragement to keep growing their skills. It takes time and effort to build things. We build our families by being an encourager. We poured into the kids, their coaches, family and friends, encouraged them to keep trying, working at building their skills, practicing, praising, all these things went into them building their confidence and success. The Bible repeatedly tells us to encourage others. It tells us to encourage each other day after day, as long as it is still called “Today.” I would say that this is a pretty clear statement of when and how often we should be in the habit of encouraging those around us. “Therefore encourage one another and build up one another, just as you also are doing. But we request of you, brethren, that you appreciate those who diligently labor among you, and have charge over you in the Lord and give you instruction, and that you esteem them very highly in love because of their work. Live in peace with one another. We urge you, brethren, admonish the unruly, encourage the fainthearted, help the weak, be patient with everyone. See that no one repays another with evil for evil, but always seek after that which is good for one another and for all people. Rejoice always; pray without ceasing; in everything give thanks; for this is God’s will for you in Christ Jesus. Do not quench the Spirit; do not despise prophetic Or gifts utterances. But examine everything carefully; hold fast to that which is good; abstain from every Or appearance form of evil. I’m studying in the Webster’s Dictionary 1828 edition. to embolden; to animate; to incite; to inspirit. Here are a few ways that you can be encouragement to those in your life. In the Eye of the Storm, He Remains in Control. The message in Ryan Stevenson’s song is so true and sums it up so well. I will just leave you tonight with his lyrics and a link to his song. We are praying for all impacted by #Harvey, #Irma, #Jose, and #Katia. Publishing: © 2015 Songs Of Emack (ASCAP)/Universal Music – Brentwood Benson Publishing (ASCAP), Capitol CMG Genesis/Christopher Stevens designee (ASCAP) (Admin. at CapitolCMGPublishing.com). Earlier this year, I had the privilege of attending the HeartStrong Faith Women’s Conference in Dallas, TX. One of the speakers shared about praying for God to give her a word each year. Something that was unique for her, something to work on , something to grow, something that God would give specifically to her for that time. Here is the podcast , if you would like to listen to Debbie Stuart share her story. So, I began to pray. I wanted a word, not just any word, but the word for 2017 that the Lord had specifically for me. There were a few that I thought it might be, but they didn’t seem quite right. It seemed it was more my word than His. I never would have picked perspective, but knew it was definitely my word this year. As I mentioned, yesterday, I really like the Bible app. They offer several different Bible plans to follow on getting through the entire Bible in a year. This helps me stay on track and actually get through it! Well, around the time that I was praying for my word, I was going through the part of the Bible with all of the old laws. You can’t do this, you can’t wear that, that food is unclean, sacrifices must be done this exact way or serious consequences will occur! As I read, I was thinking about how thankful I was to not be living under those old laws and thankful that Christ came to fulfill the law and that I (and you) could live under His unlimited grace and mercy. As I pondered the differences in living under the law and living under grace, I came to this verse, where David said, Open my eyes, that I may behold wonderful things from your law. Psalms 119:18. Wow! David lived under those old laws, the ones that seemed so refining, constricting, some of them down right scary if you messed up! But, he had the right perspective. He was asking the Lord to open his eyes, to change his perspective, to help him see! He wanted to behold (observe, look at and see) the WONDERFUL things from His Law. That is not just a glance. He wanted to observe it, look at it, see it! That sounds a lot like a study to me. It sounds like he stopped and spent time admiring what the Lord wanted him to do, how he wanted him to act, the consequences that might occur if he chose to not follow the law. He understood it and appreciated it. He acknowledged that God’s law was wonderful and good. He wanted God to show him the goodness of His law. Instantly, I was reminded, even though some of those laws seemed like too much to handle, they were not only good, but wonderful. My perspective instantly shifted. I saw it from a different angle. Our Yellow Bridge is the place we often went as young friends to spend time together, share about our day or come up with a new adventure to pursue! Just down the street, and right in the middle, it was the perfect place to meet. It was our spot! Endless hours spent together to listen and encourage each other in whatever was going on in our little lives. “Our Yellow Bridge” is being created in hopes to have the same end as our little yellow bridge – a place to encourage, share, learn, grow and hopefully have a few adventures too! The bridge that brought us together almost daily was just Down the Road. It was a small, two lane road, not a super highway but busy enough, primarily bringing the local traffic into our little village. Two lanes was plenty of space for the vehicles to get from here to there. Our road was paved and occasionally touched up with black top. The hot summer sun would make it bubble up drawing our steps to see how may blisters of tar we could pop. The edges of the road varied. Grass or gravel was the primary sidewalk to be found, with the occasional ditch or high grass from a nearby field. The only sidewalk of cement was down by the school closer to town. This small town road brought us together so many years ago to meet up with each over and over again. Sometimes we would meet “half-way”, other times our adventures led us to that particular location we decided to meet while talking on our quick bus ride home from school. The purpose of our rendezvous always being to spend time talking, sharing events of the day, or just hanging out and having fun. Over the years we have grown up into this busy world, some are still close to our little yellow bridge that was just down the road, others are many miles away. 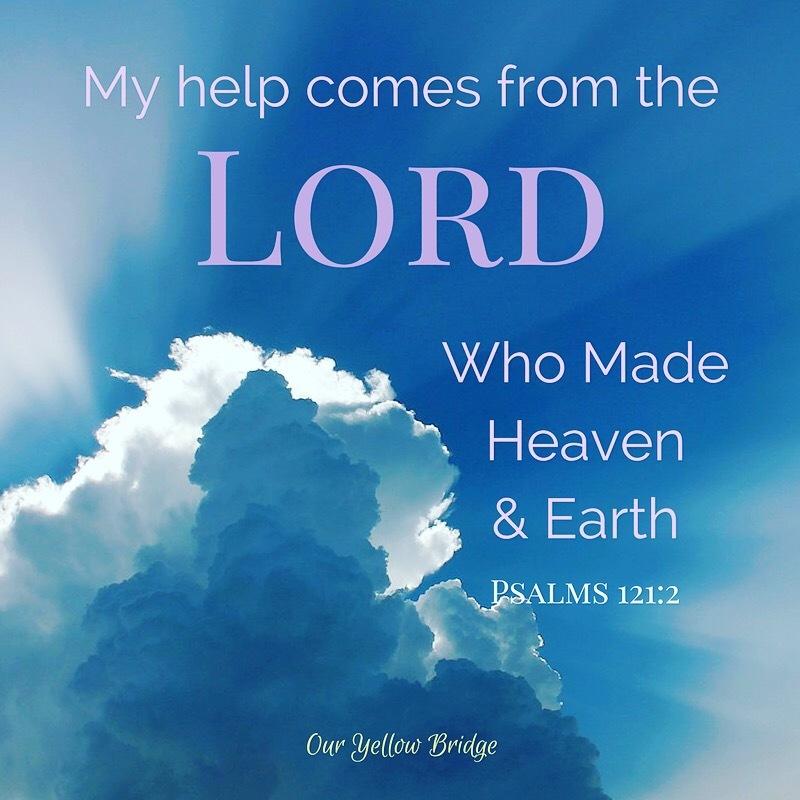 My hope is that our new yellow bridge will connect the gap between us allowing us to spend time once again sharing with each other and being an encouragement as we travel down this road of life. I know we all have a lot to share with each other. Each of us have had beautiful wonderful moments of life that have taken our breath away. We’ve also faced some huge mountains that we never ever thought we could conquer. Some of these things have occurred from the choices we’ve made, while others happened as no result of our own. Lessons learned are not always easy, they stretch and grow us in ways we didn’t know we could bend. Each of the things we have faced and will face change us, mature us and affect our lives in one way or another. Our decisions, choices, words, and actions not only have an aftermath for us; but there will be a ripple that will also fallout on those around us. I have been so very blessed with good family and friends. Many have shared and taught me valuable lessons through my life with their words, actions, and choices. The most important thing that ever impacted my life was “walking down the Roman’s Road.” Some of you know what this is, and I hope and pray that you are walking this road with me. Others are probably wondering what on earth I am talking about. The Roman’s Road is a series of verses in the Bible that make it clear on how to get to Heaven. I know we all agree that all of our “human lives” will end the same. We will all face death, whether it be in youth or old age; we will all pass away. Do you ever think about what happens to us after we die? My belief is based on what I have learned from the Bible. I believe when we die we will either go to Heaven or to hell. I believe in eternal salvation (going to Heaven) and eternal damnation (going to Hell). The Bible is very clear that these places exist. It is also clear the God loved us so much that He sent His Son to die for us in order to give us eternal life. It blows my mind to think that the Creator of all, cares enough and loves us enough to want us in Heaven with Him when we die. He isn’t forcing Himself on us, but has given us the freedom to choose whether we spend our “after life” with Him. Salvation is a gift to us – free for the taking. It’s our choice how we will end, where we will go. I’m a big fan of happiness, joy, peace, love, goodness and gentleness which are just a few incentives that come from chosing the high road. Here is the Romans Road as presented to me at a young age which sent me on my journey. Becoming a Christian doesn’t mean your life will magically be trouble-free – it does mean however you will have an incredible peace that will pass all understanding helping you on your journey. I love you, my friend, and hope we travel this same road in this life and beyond. Romans 8:38-39 For I am persuaded, that neither death, nor life, nor angels, nor principalities, nor powers, nor things present, nor things to come, 39Nor height, nor depth, nor any other creature, shall be able to separate us from the love of God, which is in Christ Jesus our Lord. 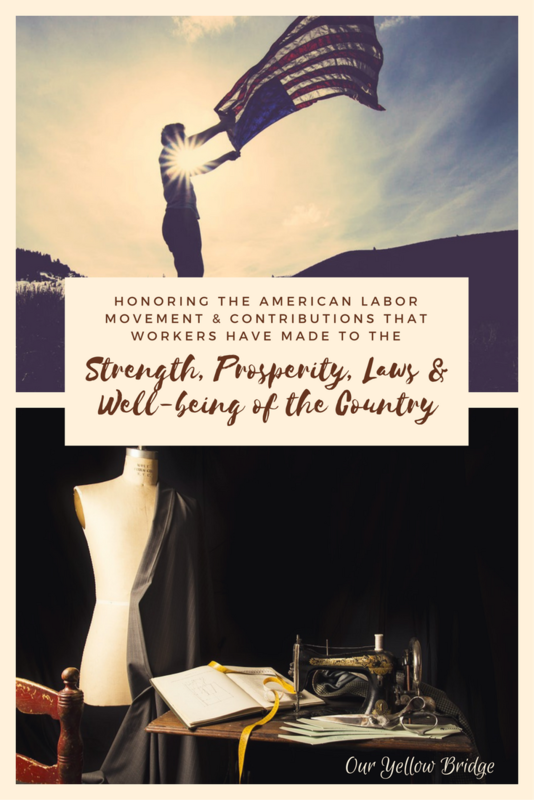 It’s all about honoring the American labor movement and contributions that workers have made to the strength, prosperity, laws and well-being of this wonderful country. Time – it doesn’t discriminate. As long as we are on this earth, we each are allotted the same amount of time in a day. How we spend it, is our choice. Sometimes life requires specific things such as going to work, a few hours of cooking and cleaning or other responsibilities that pull us here and there . Although, we often have appointments and events that require some of our time, most of us have a little extra time each day to do the things we want to do. Each day we get 86400 seconds, 1440 minutes or 24 hours. It all depends on how you want to break it down. Most of our schedules look a little something like this. Ok – I think, the above schedule is padded a bit. I’m not sure about you, but I rarely sleep 8 hours in a night. I do, however, often work more than 8 hours on a weekday. My commute is about 5 minutes, but my husband is lucky to arrive at his job within an hour. It all depends on traffic. The chores and eating category just encompasses all those little things we need to do. That should be enough time, don’t you think? It seems more than generous for what life requires from sleep to chores. Now, this leaves us 3 hours to do those extra things. It may not seem like a lot, but what do we want to do? Watch tv, play a game, read a book, maybe a hobby or two. Excercise, study, travel, spend it with someone special? There are lists upon lists of things you can accomplish in minutes a day. Spending 20 minutes a day to get healthy, taking 5 minutes a day to update your budget will keep your finances on track, 15 minutes with the Lord will give you strength to carry on, 10 minutes reading or talking with your kids not only teaches them but keeps you closer, names a few things you can use that 3 hours to accomplish. Just google “minutes a day” and you will see page upon page of things you can do. We all have different responsibilities at various stages of our lives. Be careful about comparing what you accomplish compared to those around you. Use the “go-getters” as an inspiration, ask them how they accomplish all that they do. I guarantee they will be more than happy to share a few of their tips and tricks with you. Do not let it discourage you when it takes a little while to get a routine in place to capitalize on that treasured time. You can accomplish more than you think with a little planning and perseverance. Deadlines sometimes push us to perform in a way that we didn’t think possible! A national art contest prompted my daughter to complete what she didn’t think was possible. In just one day – Here Ducky Ducky was created. Take it one second at a time, then one minute at a time, one hour and then a day. You will be amazed at what you accomplish in a week, a month, a year, a decade, in a lifetime when you plan! I can’t wait to hear your amazing stories! Sleep is underrated when you can make an eternal impact! Who else has nights where you lay in bed wide awake? Morning is quickly approaching and the upcoming responsibilities are definitely not going away. Toss, turn, flip and flop; nothing is helping you sleep, so stop. Be still, don’t move, sleep is near, well not really; each and every sound magnifies in you ears. There is a solution that works for me, and adds some impact, as you will see. There are two things I do when I can’t sleep. It usually ends with a few zzzz’s, but if not, i either grow spiritually from listening to the Lord or cover everyone and anyone that the Lord puts in my mind. I figure if it’s that spiritual war keeping me awake, what would be better than jumping in and joining the winning side! 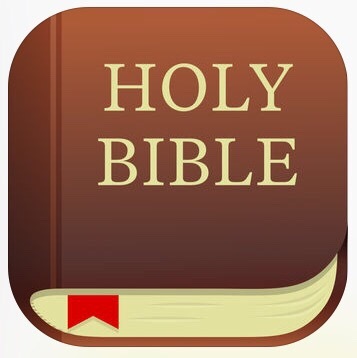 My favorite app is the Bible app. It offers a variety of different audio versions and languages too. It’s a free app full of devotions for all ages. If you’re not sure where to start, just go to the beginning. I know you will not be disappointed! Falling asleep listening to the Lord’s words- there is no better way to be put to sleep! So many versions, languages, devotions and more! 2. The second thing: Pray! Pray for everyone that comes to mind! Once you realize that sleep is far away, start by asking the Lord who needs prayer cover. Some nights specific people will boldly come to mind and You will know, without a doubt, they need to be lifted up. If there isn’t a specific person you are thinking about, start with family and friends. You will be amazed who comes to mind when you start to pray.